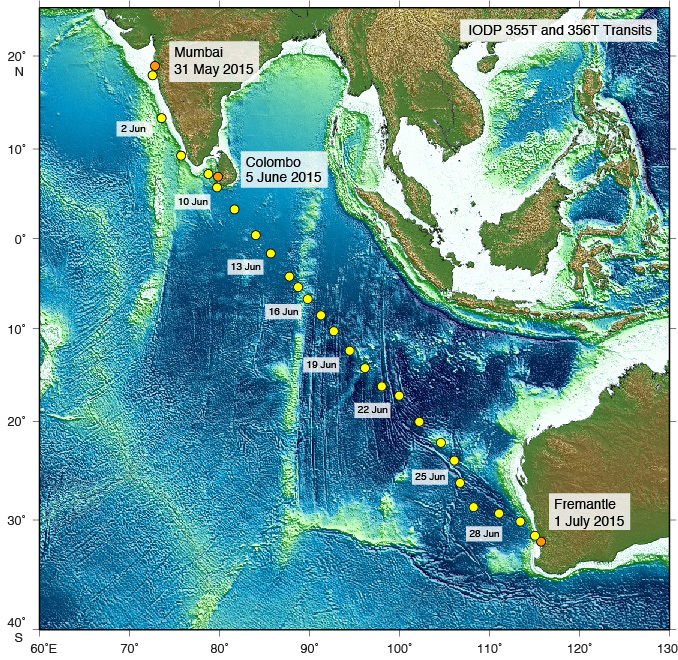 The transit following Arabian Sea Monsoon (Expedition 355T) started on 31 May 2015 with a port call in Mumbai, India, and ended in Colombo, Sri Lanka, on 5 June 2015. Following port call, the next transit (Expedition 356T) started from Colombo on 10 June 2015, and ended in Fremantle, Australia, on 1 July 2015. Following a dry dock and maintenance period (Expedition 356P), the ship will depart from Fremantle on 31 July 2015 for the start of Expedition 356.